Suggestion: Strolling on the beaches and relaxing in a beach-shack. 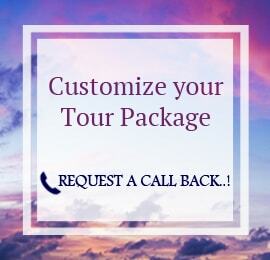 Airport / railway station transfers after reaching Goa. The state of Goa is situated on the west coast of India. It is one of the most popular tourist destinations in the countries. Its beaches, heritage sites and nightlife attract more than two million international and domestic tourists annually. Goa was a Portuguese colony for over 400 years. It became independent and a part of the Union of India in 1961. Remains of St. Francis Xavier at Basilica of Bom Jesus in old Goa is 400 years old and are still in a non-decomposing state. Badami, earlier known as Vatapi, is a town in the Bagalkot district of the south Indian state of Karnataka. 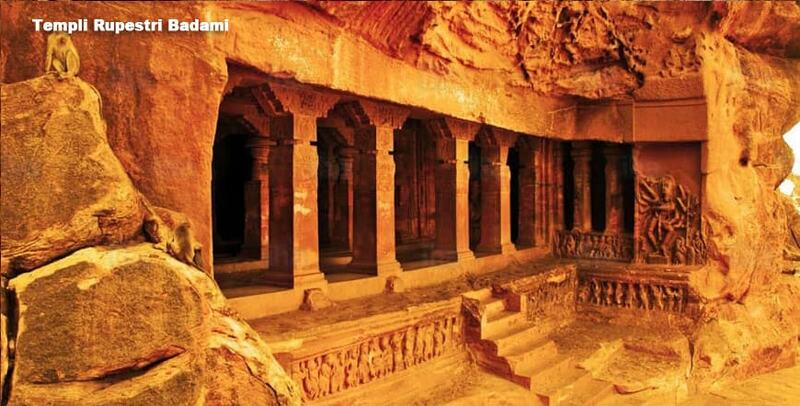 It was the capital of the Badami Chalukyas from 540 to 757 AD. 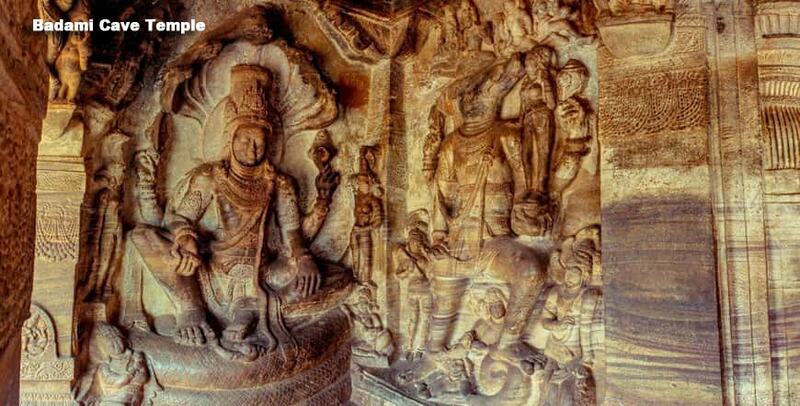 It is known for its sandstone cave temples, which have been carved out of rock. The temples are located in a ravine at the foot of a rugged, red sandstone outcrop that surrounds Agastya lake. Badami has been selected as one of the heritage cities for HRIDAY - Heritage City Development and Augmentation Yojana scheme - of the Government of India. Hampi, a UNESCO World Heritage Site, had its first historical record of settlement in 1 CE. There are quite a few evidences that tell us that the region of Hampi was under the rule of the great King Ashoka during the 3rd century BC. 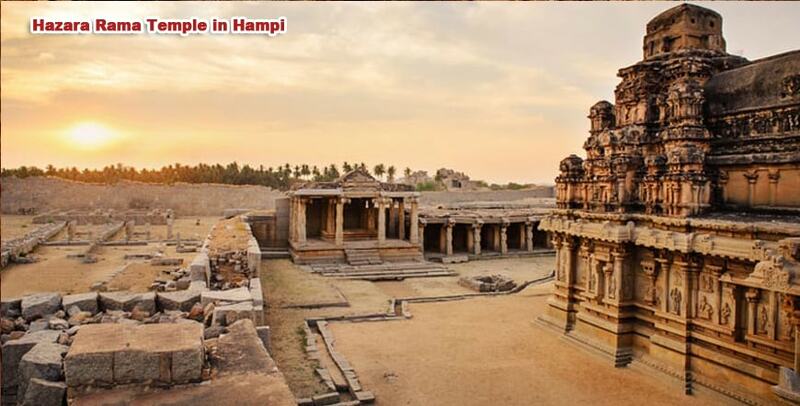 Originally the name of Hampi was Hampe, which was derived from the word Pampa-the ancient name of Tungabhadra River as Hampi stands south to the banks of River Tungabhadra. 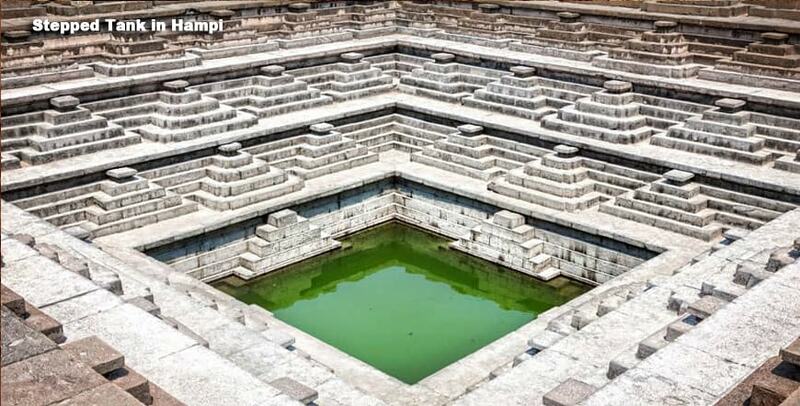 Another amazing fact about Hampi is that this place has its name linked to the famous India epic Ramayana. 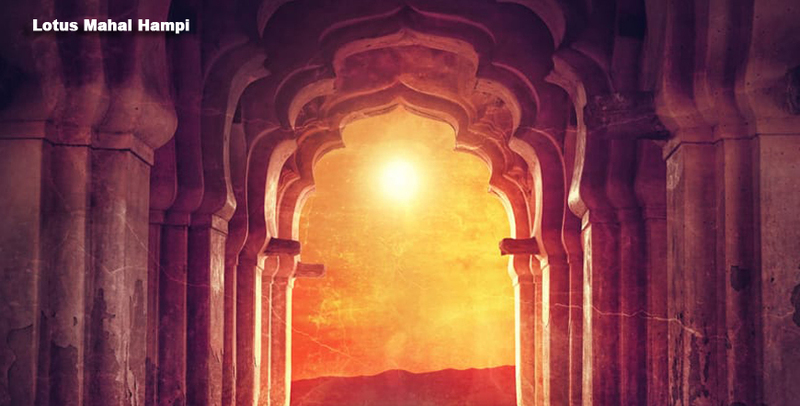 It is said that Lord Rama with his brother on his quest to find Sita, sought help from Sugreeva the brave ,whose cave is near the Vitthala Temple.